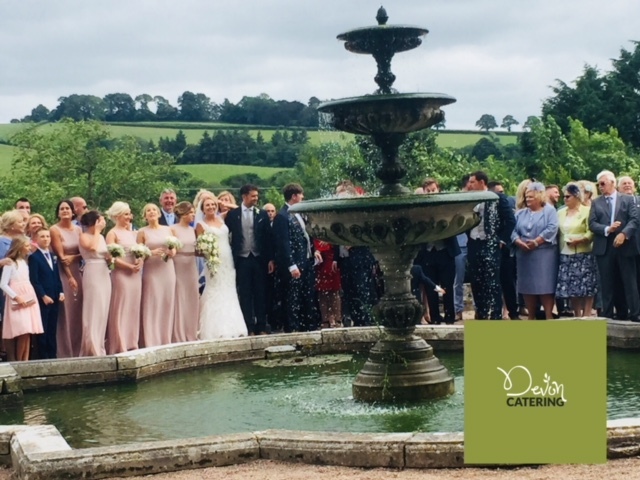 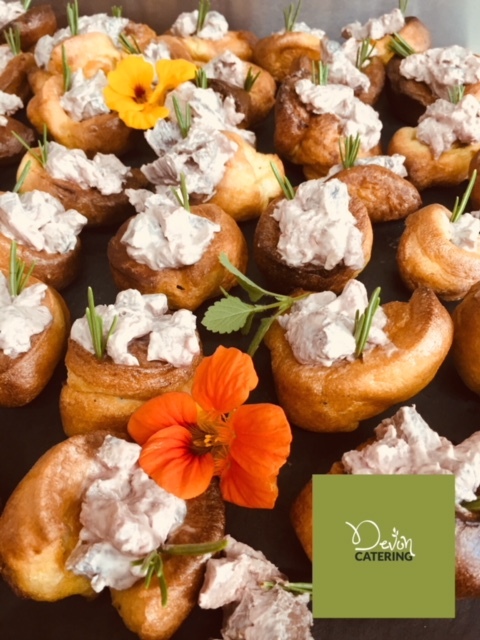 Looking for a wedding caterer near Exeter Clare and Nick requested a copy of our Wedding Collection menus for their summer wedding held at the stunning Pynes House. 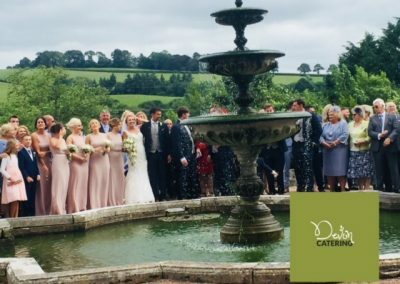 Situated just 3 miles north of the historic city of Exeter Pynes house is set in the parish of Upon Pyne. 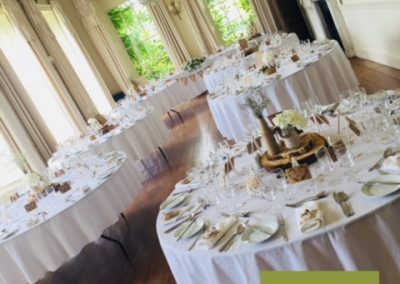 Believed to have been built between 1700 – 1725 by Hugh Stafford today Pynes House has been beautifully updated as a wedding and events venue. 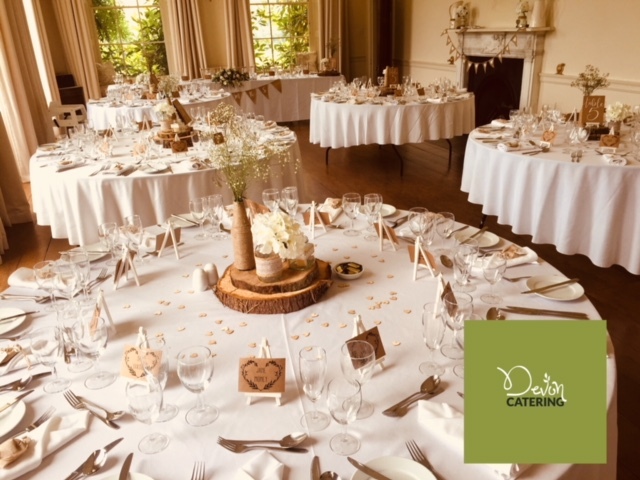 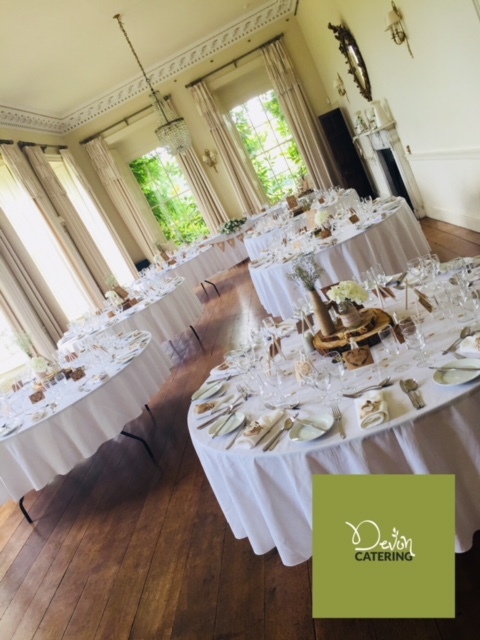 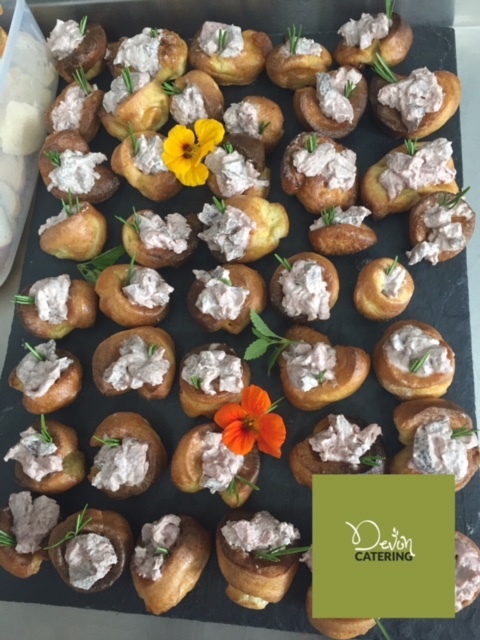 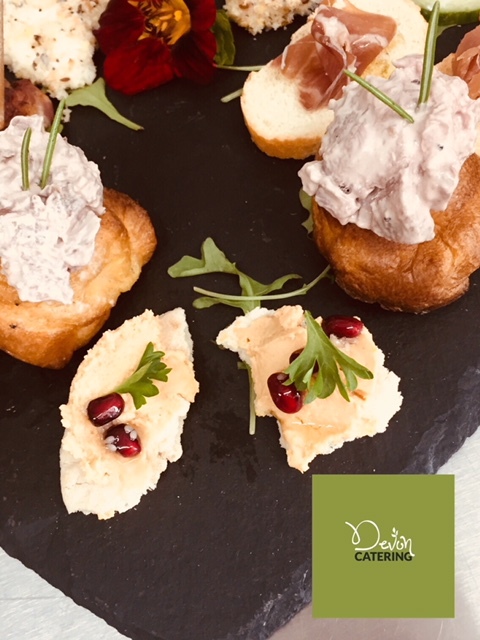 We have provided wedding catering at Pynes House on many occasions and it is always a pleasure to be in such a magnificent building surrounded by countryside that affords wonderful views, it is very hard to believe you are just minutes from the city centre. 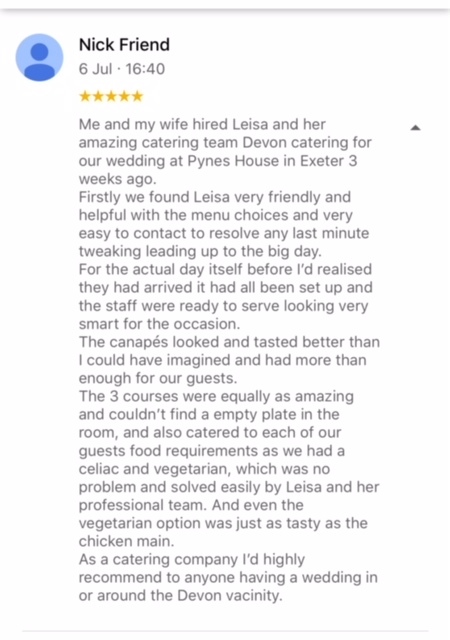 Clare and Nick were looking for a complete wedding catering package to include day and evening catering and consideration of some specific guest requirements. 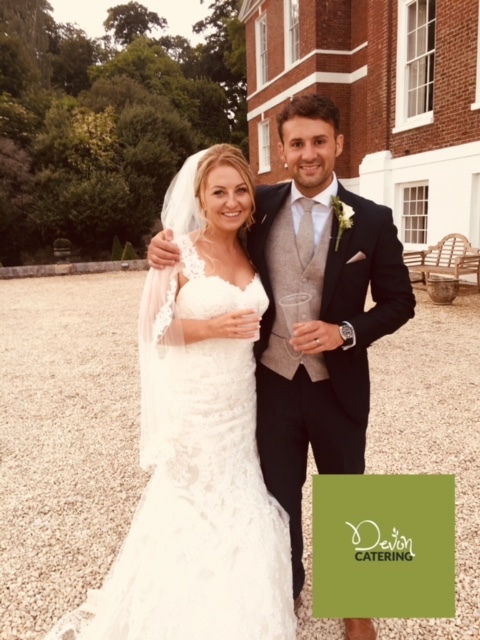 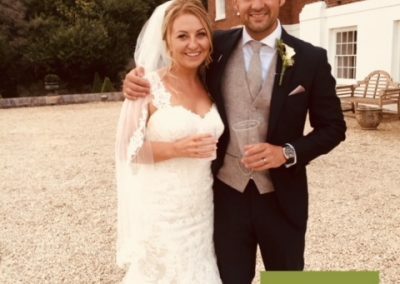 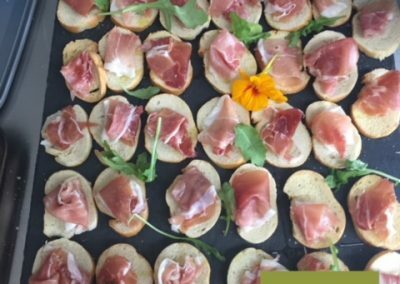 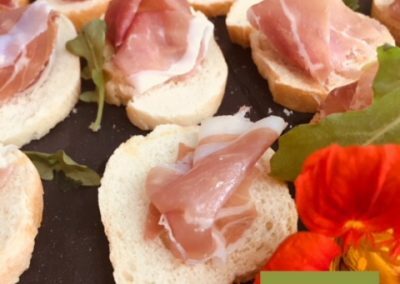 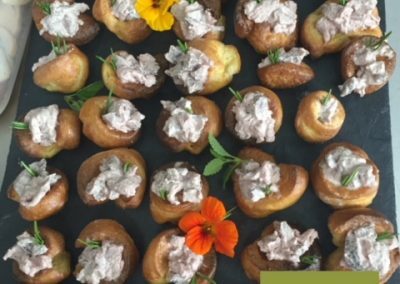 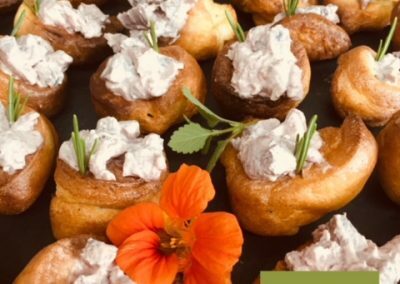 Together Clare and Nick opted for a three-course wedding breakfast, canapes on arrival and a buffet option for their evening guests. 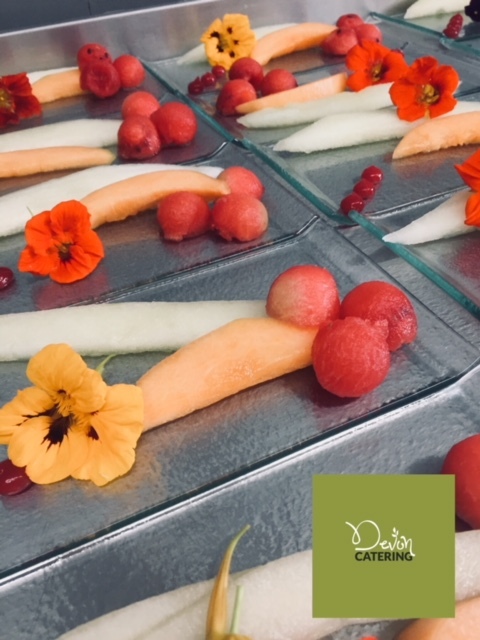 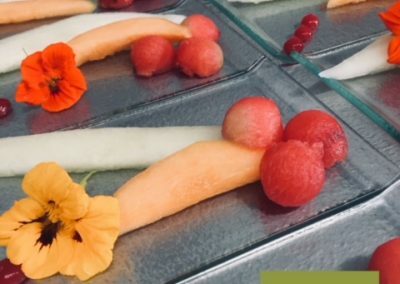 The wedding breakfast offered a choice of starter, Fresh handmade tomato and basil soup served with fresh bread croutons and cream or Trio of melon decorated with a fresh raspberry puree. 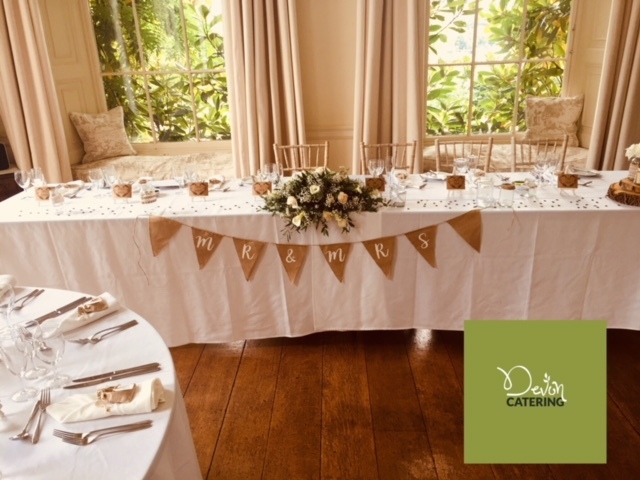 A wedding breakfast main of Chicken Ballotine filled with a sage and onion stuffing and wrapped with smoked bacon, and a Cranberry & leek filo basket with a tarragon creamy sauce was offered to guests. 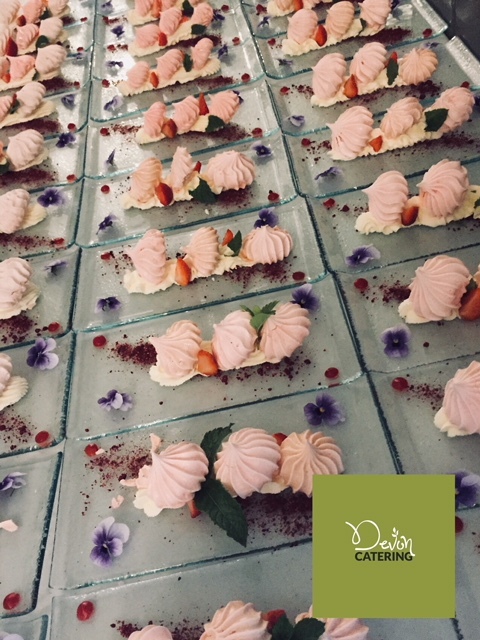 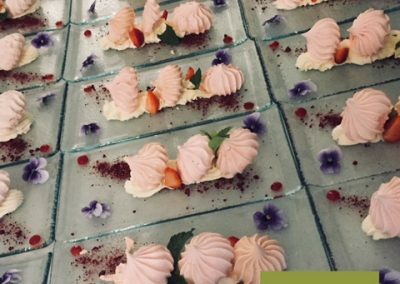 Clare and Nick chose a perfect summer dessert of our hand-piped mini meringues, fresh whipped cream served with fresh strawberries and a strawberry puree. 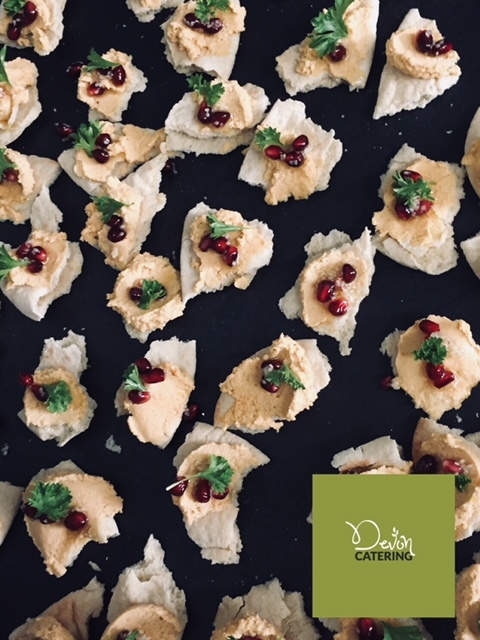 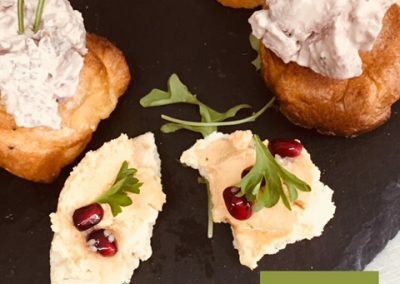 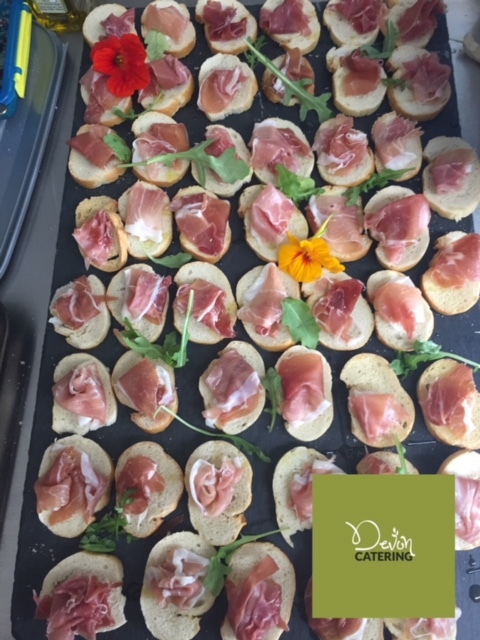 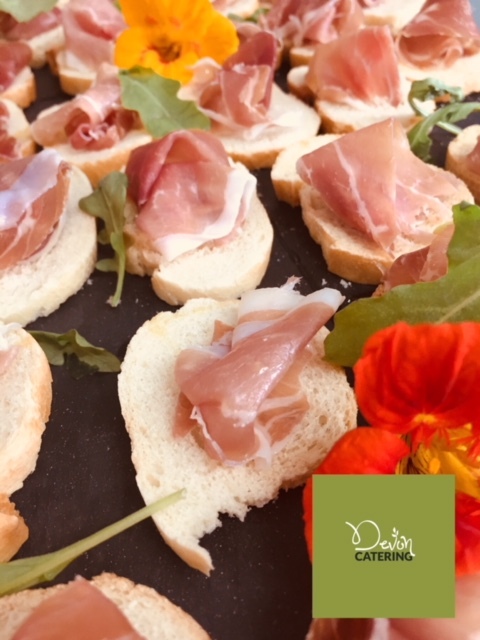 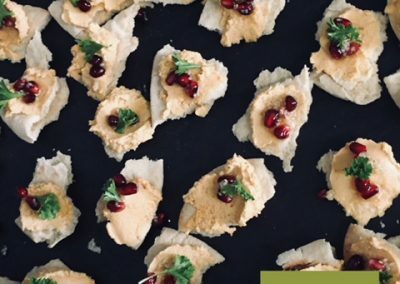 Evening wedding guests were also well catered for and we created a cheese stack buffet with local, national and international cheeses decorated with figs, grapes, handmade chutney, vine tomatoes, fresh leaf salad and a selection of savoury biscuits, seeded breadsticks and oatcakes.